Briefer than Literal Statement: Things you walk past..
Just a very short walk this evening through Hyde Park, first past Kensington Palace and the armed policeman on guard there. (No idea why he was there. I can't imagine the Dukes of Wessex and Gloucester are considered likely targets for assassination and if they were presumably hundreds of unvetted tourists wouldn't be allowed to traipse through the palace daily. Anyway past the palace and the daffodils and the primroses which would probably look lovely and not at all anaemic if they weren't planted next to the daffodils, and then left up the Broad Walk to Queensway Tube. It's not a walk I've often done - if I go to Hyde Park after work I tend to walk horizontally rather than vertically: across the park, along the Serpentine to fetch up at the bottom right hand corner, then more or less straight across Green Park and up Pall Mall to Charing Cross, and lastly over Hungerford Bridge to Waterloo (and that's a lovely walk and I recommend it). Or Hyde Park - Green Park - bear right past Buckingham Palace, along the lake in St James Park, across the bridge and down toward Victoria St. (Also a lovely walk, apart from the very end which is a scrum at the best of times and currently suffering from everywhere around Victoria Station being dug up for Crossrail). So, not having walked along the Broad Walk too often, I've never noticed before that there's a short pointed boundary marker in the grass on the right about halfway along which marks the boundary of Paddington. Paddington Borough Council - I've literally just looked this up - was apparently created in November 1900 out of the former parish, and became part of Westminster City Council in 1965. Bit more info here in case anyone is as interested in this sort of thing as I am. Interestingly Westminster City Council is now linked up - the term generally used is shared services - with RBKC (Royal Borough of Kensington and Chelsea) and LBHF (London Borough of Hammersmith and Fulham) and you can see in the names that those other two councils were also originally composed of smaller councils, which it seems also merged in '65 when the GLC (Greater London Council) was created. So over time there's a definite movement towards bigger organisations covering a wider area. Whether this means something important has been lost because decisions are not being made at that very local level where the people making the decisions would be neighbours of those they are making decisions about, or gained because the larger a borough is the greater the clout and deeper the pockets are, I'm not sure. Probably both. 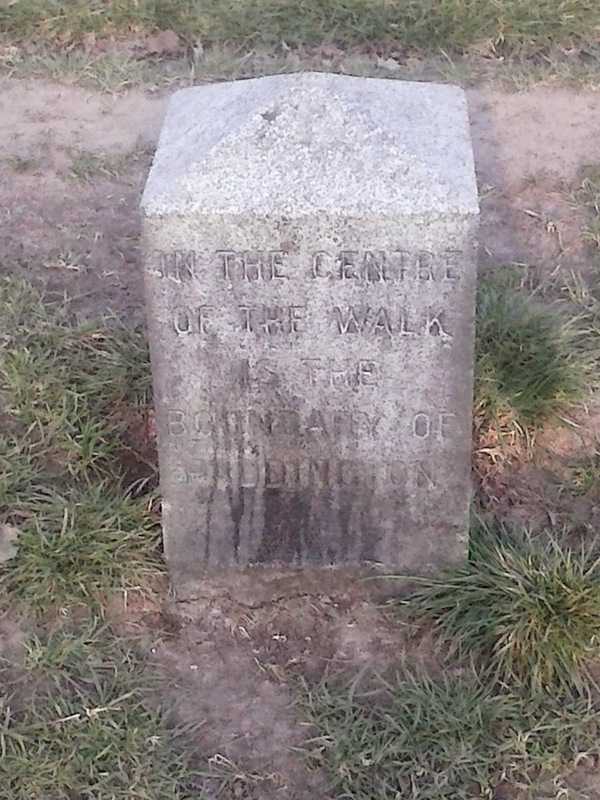 Edit 23/03/2015 - Photo of the marker below.